Honesty Quotes and Sayings: Be inspired by this collection of honesty quotes let them inspire and motivate you and those around you! ➦ Truth never damages a cause that is just. ➦ It’s not sincereity, it is truth which frees us, because it transforms us. It tears us away from our inmost slavery. ➦ Never be afraid to raise your voice for honesty and truth and compassion against injustice and lying and greed. If people all over the world…would do this, it would change the earth. ➦ What is the source of our first suffering? It lies in the fact that we hesitated to speak. It was born in the moment when we accumulated silent things within us. ➦ Tell your stories, if people wanted you to write warm about them, they should have behaved better. ➦ When a woman tells the truth, she creates the possibility for more truth around her. ➦ Seek the truth, not what is comfortable. Seek the real, not the easy. ➦ We need more people speaking out. This country is not overrun with rebels and free thinkers. It’s overrun with sheep and conformists. ➦ Honesty is more than not lying. It is truth telling, truth speaking, truth living, and truth loving. ➦ Proclaim the truth and do not be silent through fear. ➦ Silence encourages the tormentor, never the tormented. ➦ Silence becomes cowardice when occasion demands speaking out the whole truth and acting accordingly. ➦ But I suppose the most revolutionary act one can engage in is… to tell the truth. ➦ The truth will lead me to all. ➦ Truth is generally the best vindication against slander. ➦ There are few nudities so objectionable as the naked truth. 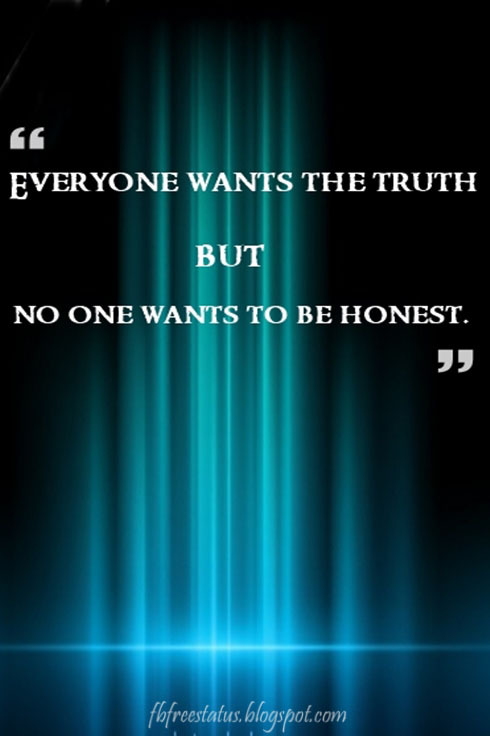 ➦ Believe those who are seeking the truth. Doubt those who find it. ➦ All truth passes through three stages. First, it is ridiculed. Second, it is violently opposed. Third, it is accepted as being self-evident. ➦ Ye shall know the truth, and the truth shall make you free. ➦ Chase after truth like hell and you'll free yourself, even though you never touch its coat-tails. ➦ It's a basic truth of the human condition that everybody lies. The only variable is about what. The weird thing about telling someone they're dying is it tends to focus their priorities. You find out what matters to them. What they're willing to die for. What they're willing to lie for. ➦ The public will believe anything, so long as it is not founded on truth. ➦ Truth is the only safe ground to stand on. ➦ The truth is more important than the facts. ➦ All truths are easy to understand once they are discovered; the point is to discover them. ➦ I have been truthful all along the way. 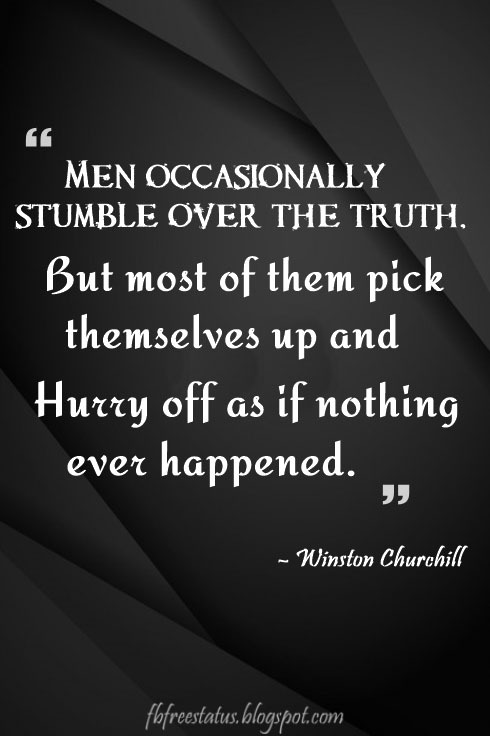 The truth is more interesting, and if you tell the truth you never have to cover your tracks. ➦ The truth that makes men free is for the most part the truth which men prefer not to hear. ➦ As scarce as truth is, the supply has always been in excess of the demand. ➦ Do not run from the truth. There be nought so hard to live with as a lie. ➦ A lie told often enough becomes the truth. ➦ A lie can travel halfway around the world while the truth is putting on its shoes. ➦ Fiction is obliged to stick to possibilities. Truth isn't. ➦ The history of our race, and each individual's experience, are sown thick with evidence that a truth is not hard to kill and that a lie told well is immortal. ➦ Truth is more of a stranger than fiction. ➦ Truth sits upon the lips of dying men. ➦ The opposite of a correct statement is a false statement. But the opposite of a profound truth may well be another profound truth. ➦ The truth is rarely pure and never simple. ➦ Truth persuades by teaching, but does not teach by persuading. ➦ Truth is beautiful, without doubt; but so are lies. ➦ I guess sometimes you have to lie to find the truth. 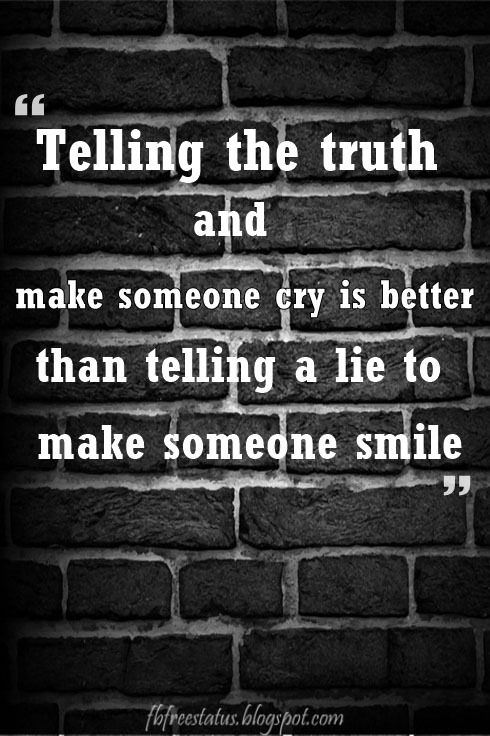 Please Don’t forget to share Honesty Quotes to your Friends and family member.